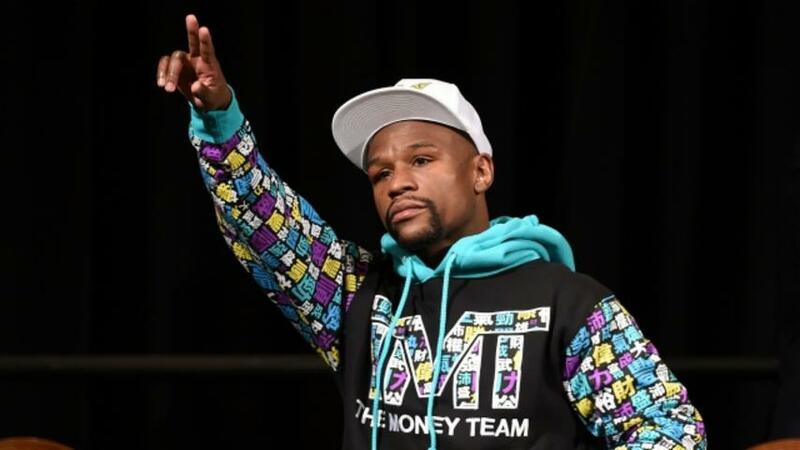 May 1 (Reuters) - Floyd Mayweather Jr is happily retired but the 39-year-old unbeaten American hinted in an interview on Saturday that a return to the ring could not be completely ruled out. Mayweather quit boxing in September after accumulating a 49-0 record during a 19-year career that produced world titles in five weight divisions and earnings in excess of $800 million. The American says he is happy with life outside the ring but acknowledged he was in talks with television networks over a possible comeback fight. Britain Boxing - Gervonta Davis & Liam Walsh Press Conference - The Landmark London - 18/5/17 Floyd Mayweather during the press conference Action Images via Reuters / Andrew Couldridge Livepic EDITORIAL USE ONLY. "Everyone is asking me 'is Floyd Mayweather coming back?'" he said in an interview with Showtime. "Right now, I'm happy being on this side but I've been talking with CBS and Showtime and you just never know. But right now, I'm just happy on this side," added Mayweather, who ended his career in the welterweight division. "As of right now, some crazy numbers have been thrown my way -- upwards, of course, of nine figures. "But I'm truly blessed beyond belief and I really don't know what we're going to do. But right now, I'm really happy being on this side helping our fighters." Mayweather beat Manny Pacquiao, who retired last month, in a unanimous decision last year before defeating Andre Berto in September in his last bout. Many want him to take on undefeated Kazakh middleweight champion Gennady Golovkin but Mayweather was quick to rule out the possibility of agreeing to that match-up. "How can Floyd Mayweather fight at 160 (pounds) when I can never even make 154?" he said.